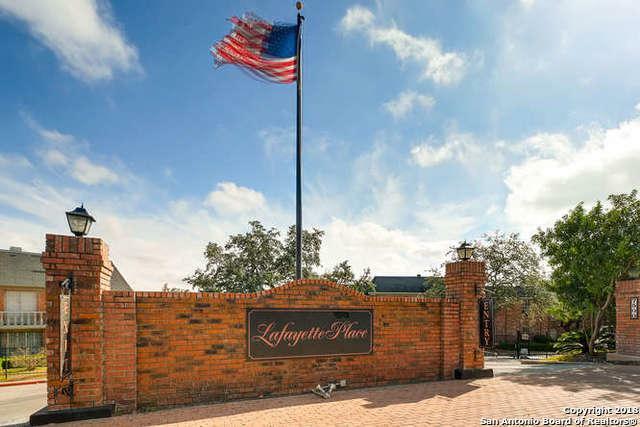 Beautiful 3BDRM/2BA 1st Floor Condo in gated Lafayette Place community with easy access to 1-10/410, Medical Ctr., Airport, The Rim, La Cantera, Dining, Entertainment. Large Master Suite, lots of closets and built-ins. 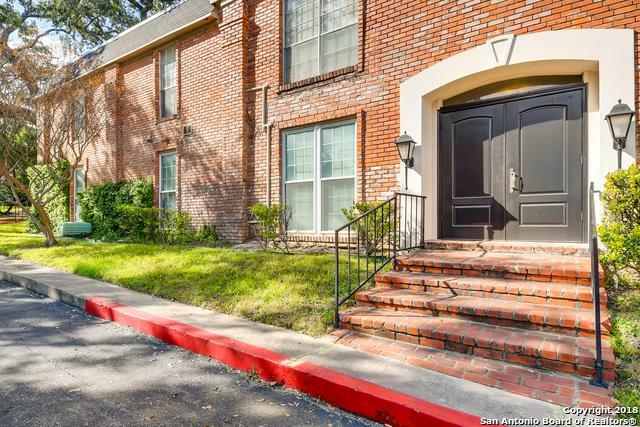 Move-in ready with new flooring, new carpet, walk-in jetted tub, fresh paint throughout, granite kitchen countertops, mirrored DR, Wet Bar, large LR. New Windows 2014/HVAC 2015. Covered private patio. 2 Carports. Pool with party room. Mature trees. 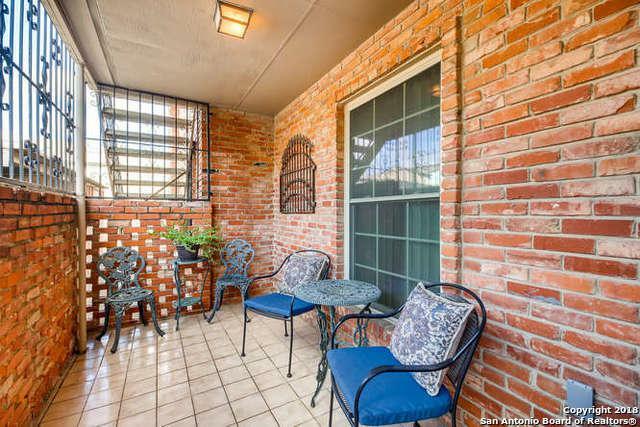 Brick Exterior. Pet Friendly. Welcome Home! 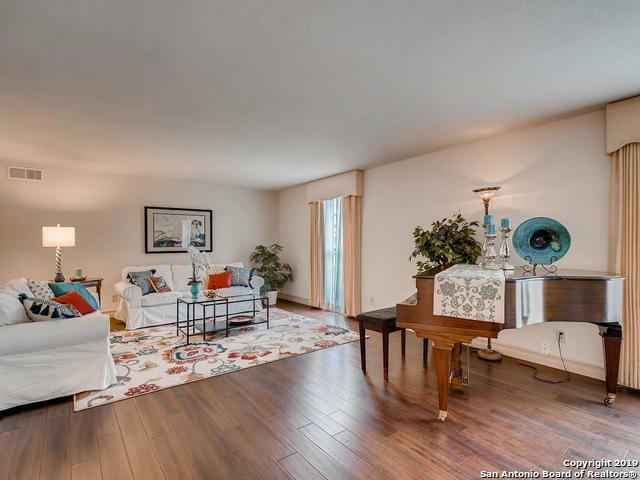 Listing provided courtesy of Maureen Mcniece of Jb Goodwin, Realtors.